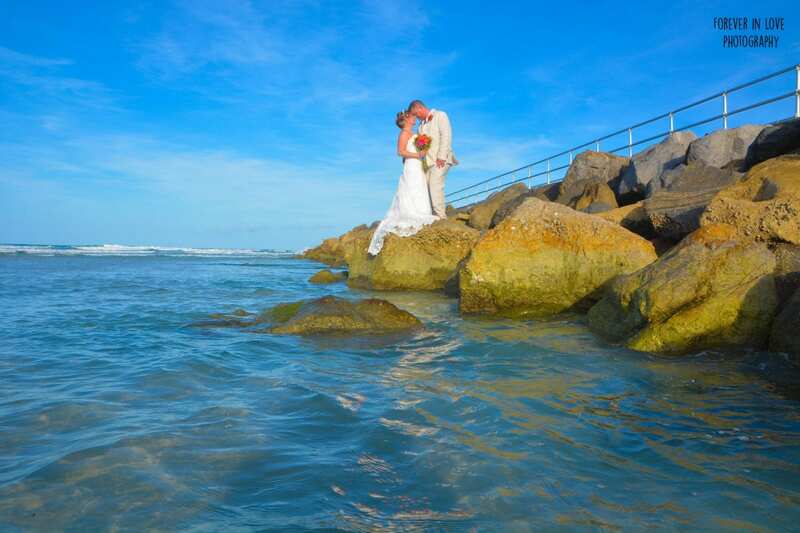 Ponce Inlet Beach Weddings are a destination bride’s dream. With soft white sand, beautiful dunes and amazing views of the Ponce Inlet lighthouse, you can’t go wrong. Your guests will show up to your beautiful Florida beach wedding ceremony to find a nice ocean breeze, white cap waves and soft white sand. You will get to make your unforgettable grand entrance on one of the beautiful wooden walkways as your spouse catches a glance of you from the dunes. This not only makes for the perfect first look moment, but unforgettable photos. Ponce Inlet Beach Weddings provide you and your guests with plenty of parking options. If you have guests that have a harder time walking, this is a great spot as you can drive on the beach and drop off the guests that may need extra assistance. 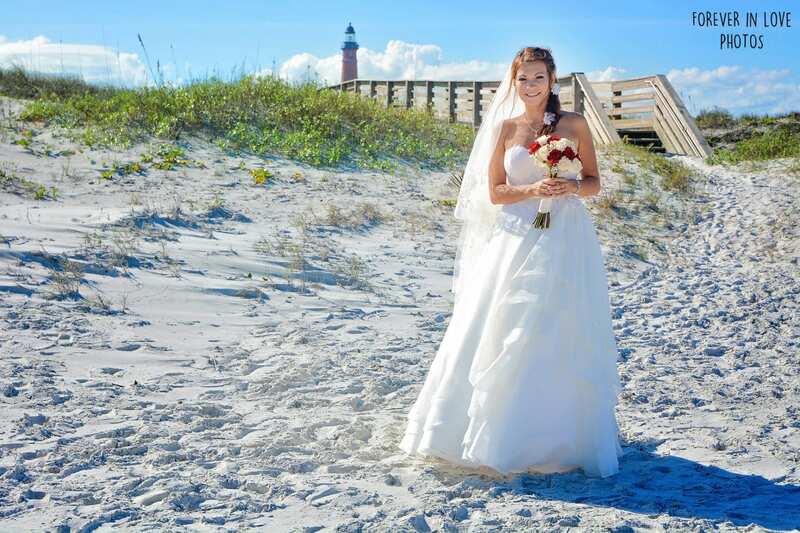 We recommend adding the additional photography time for your Ponce Inlet Beach Wedding ceremony if you wish to take full advantage of all the beach has to offer. With beautiful white cap waves and dunes with views of the lighthouse, you won’t want to miss these incredible photo ops. 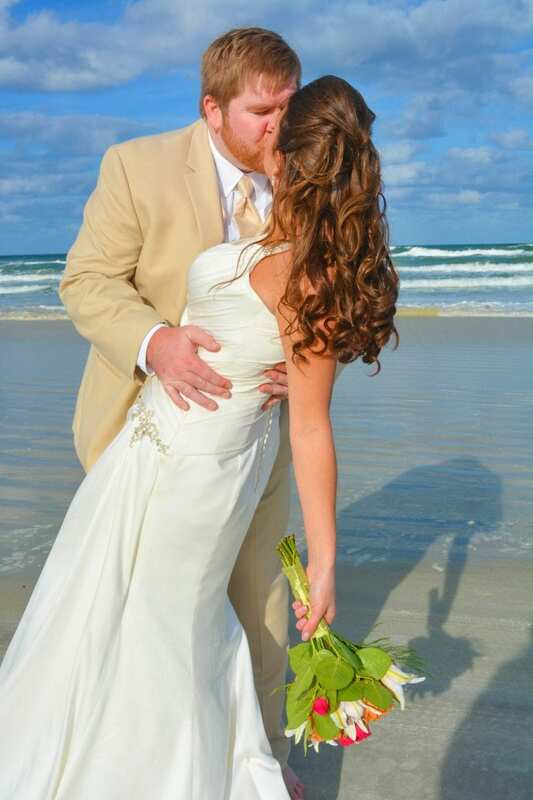 There are many great location choices for your Daytona Beach, Florida wedding ceremony. Ponce Inlet is a hidden treasure that every bride should be able to get a taste of. Daytona Beach is home to many well known hotels that are truly on the beach. Stay on the beautiful beaches of Daytona and enjoy great views, the pool deck with views of the ocean, and of course the Atlantic Ocean all while prepping and celebrating your special day. Check out our Florida Beach Wedding Packages to start planning your Ponce Inlet Beach Wedding today. Ponce Inlet Beach Weddings are great for smaller wedding parties as you do not have a large parking lot for your guests. Any of our beach wedding packages look great in Ponce Inlet. Hotels: The shores resort and Spa is just a quick drive to the beach where you will be having your ceremony. The shores has a great pool deck, beautiful rooms and is located right on the ocean! Food: Looking to have a nice dinner after your Florida beach wedding ceremony? Off the Hook Raw Bar and Grille in Ponce Inlet is less than a 5 minute drive away. Enjoy watching the sun set over the river and fresh seafood with your guests.